Our data-driven approach to website ad management yields a high payout and a positive user experience. Instead of focusing on strictly managing your highest performing ad units, or cherry-picking your most qualitative traffic, we focus on filling all of your ads at the highest rates possible. That means you get the best value for your pageviews. Period. At Monumetric we live by the mantra, “Measure What Matters.” Other companies in the ad industry will try to sell you by disclosing some metrics while hiding others. They might factor in CPM without mentioning fill rate, or RPM without bringing up ads per pageview. We were once publishers ourselves, so we understand how tainted the world can be, which is why we structure all we do around data and performance instead of promises and sales pitches. Our data-driven approach to ad management yields a high payout and a positive user experience. Instead of focusing on strictly managing your highest performing ad units, or cherry-picking your most qualitative traffic, we focus on filling all of your ads at the highest rates possible. That means you get the best value for your pageviews. Period.  As a member of Monumetric, you gain access to a custom dashboard that aggregates your earnings and traffic data, showing key performance stats each day. As payments are received from each ad provider, we combine total earnings and pay them out to on Net 60 terms. This ensures you receive 100% of your owed payments and you never miss a deposit! We also believe in fair commissions. Most ad management companies take huge commissions for servicing your ads. Industry standard commissions range between 40-60%. We think that’s taking much more than necessary. Depending on the ad-technology on your site, we only keep between 15%-30%. These are the lowest commissions in the industry! This structure incentivizes us to be aligned with the goals of your site so that we only succeed, when you’ve succeeded. Click Here To Start Earning More! 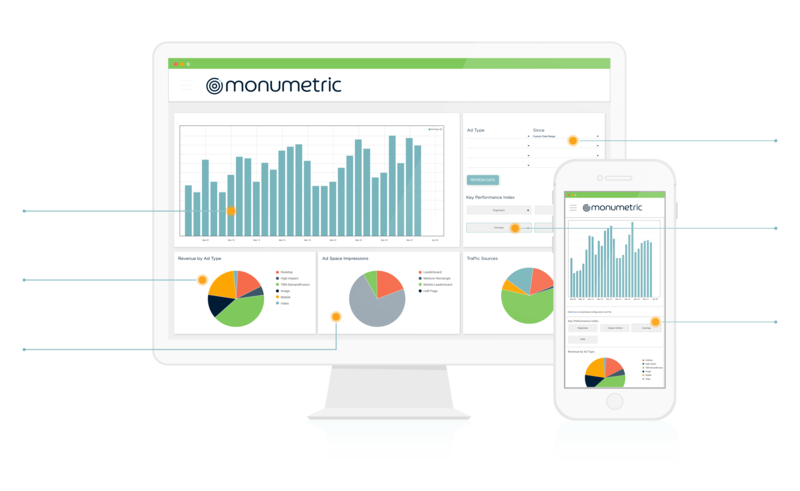 As a member of Monumetric, you gain access to a custom dashboard that aggregates your earnings and traffic data, showing key performance stats each day. As payments are received from each ad provider, we combine total earnings and pay them out to you on Net 60 terms. This ensures you receive 100% of your owed payments and you never miss a deposit! You have complete authority over your site and the final say on your custom ad strategy. Our innovative team will give you the data and insights to empower you to make the best decisions to reach your goals. Partner with a dedicated ad-tech, data analysis, and ad optimization team to save you time and increase your earnings. Ad Technology evolves at a rapid pace and never stops. Our innovative teams work day-in and day-out to make sure you’re always getting the most cutting edge technology.